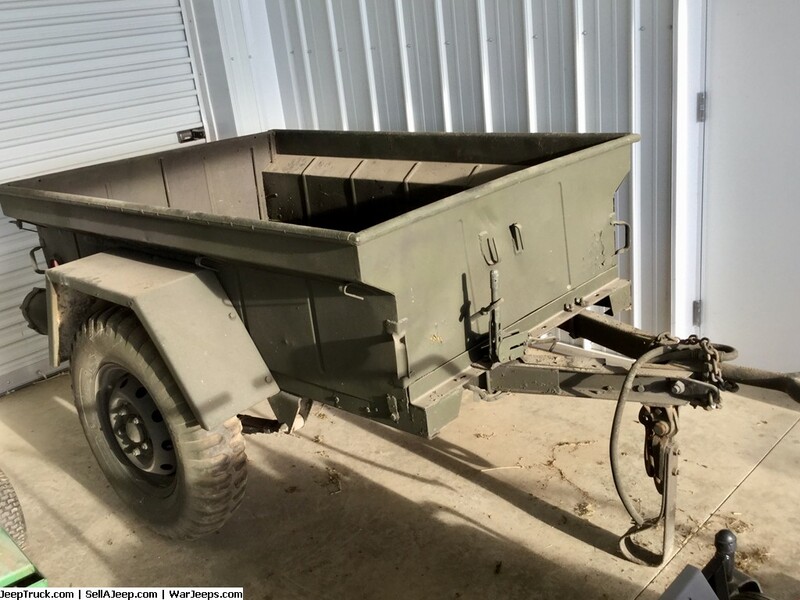 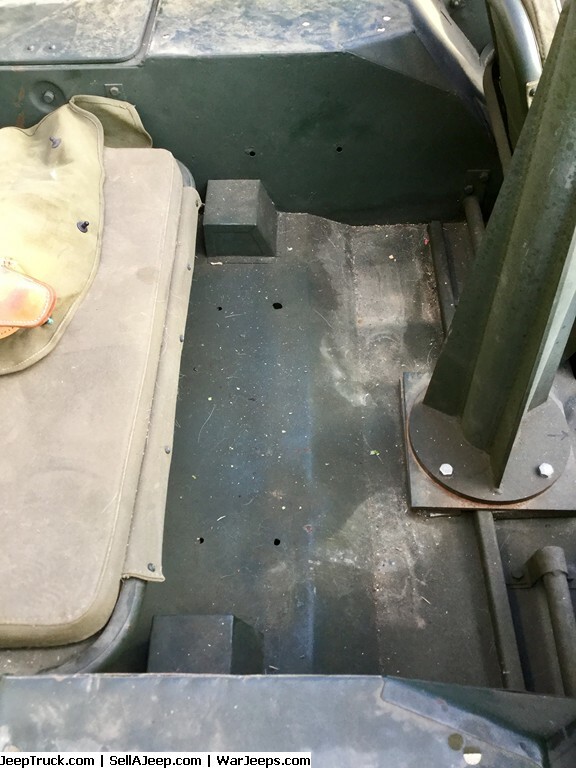 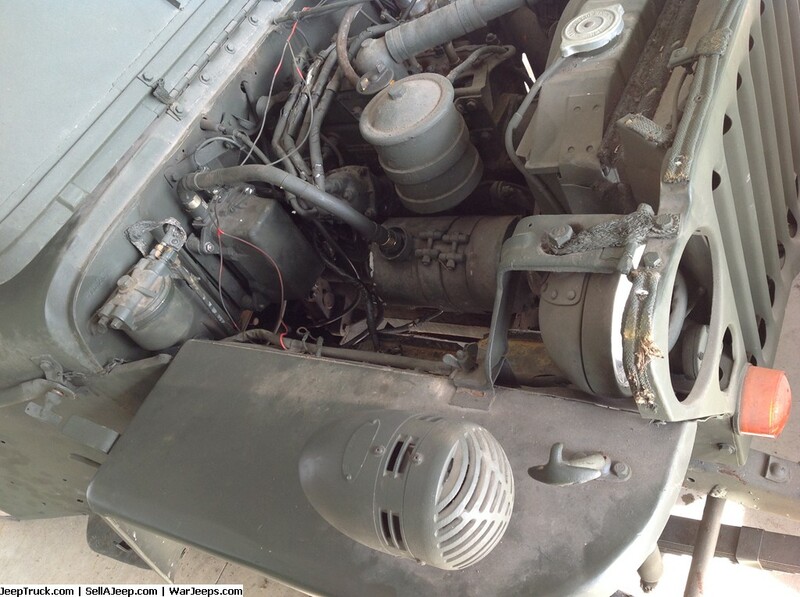 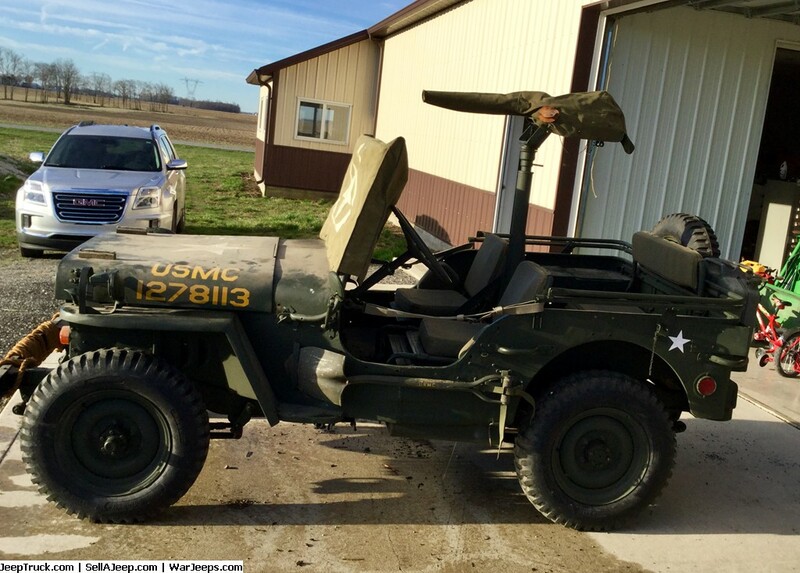 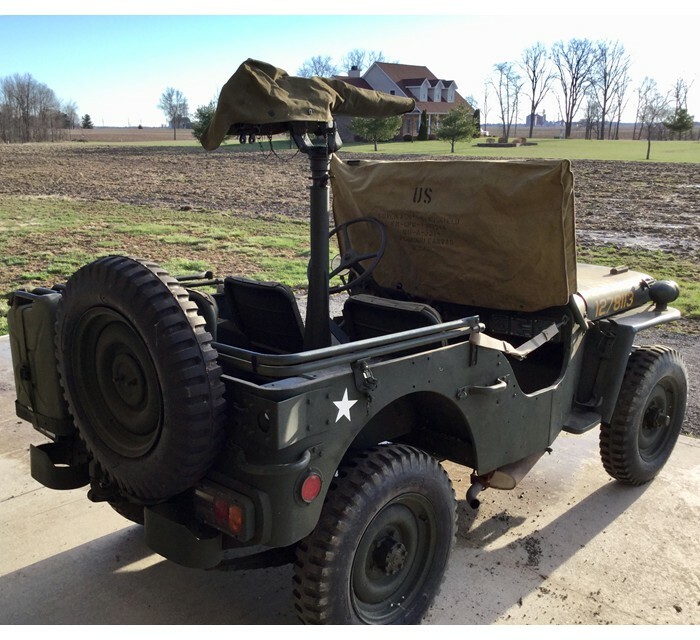 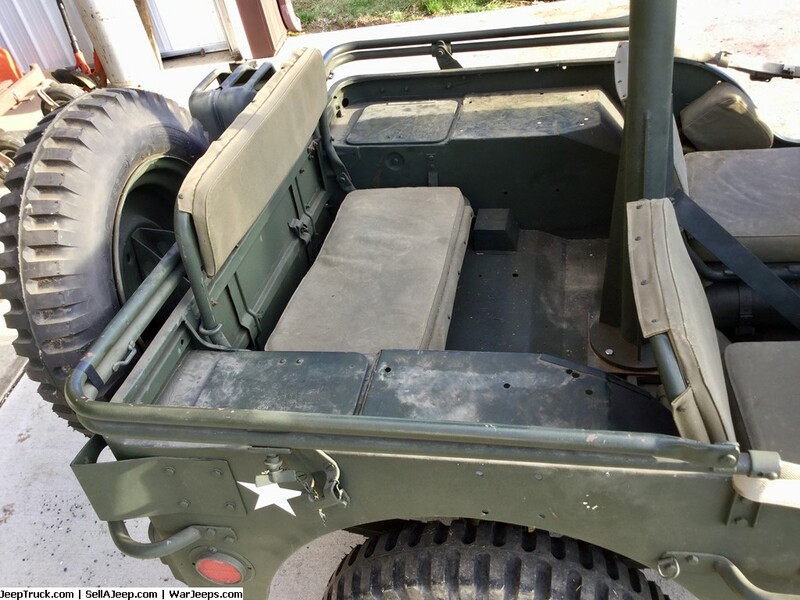 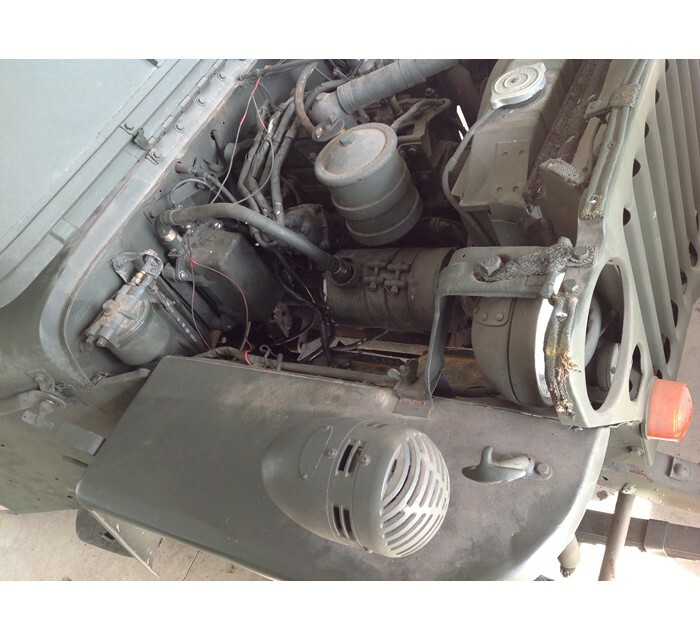 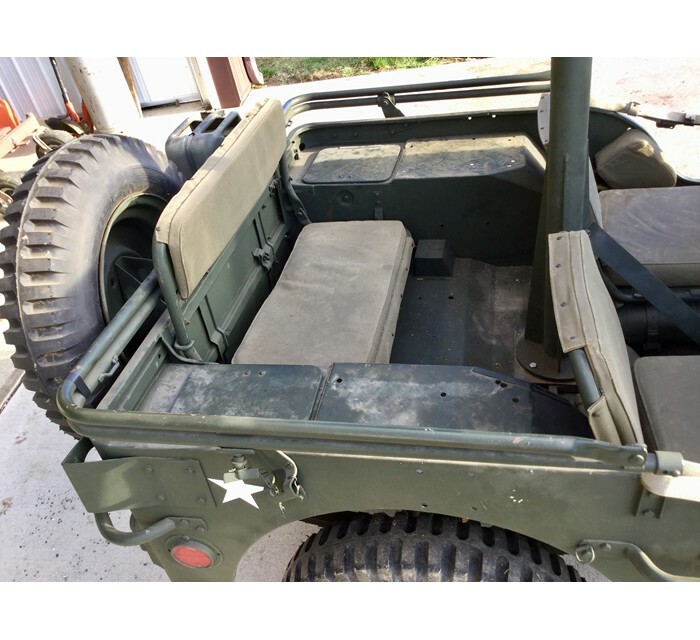 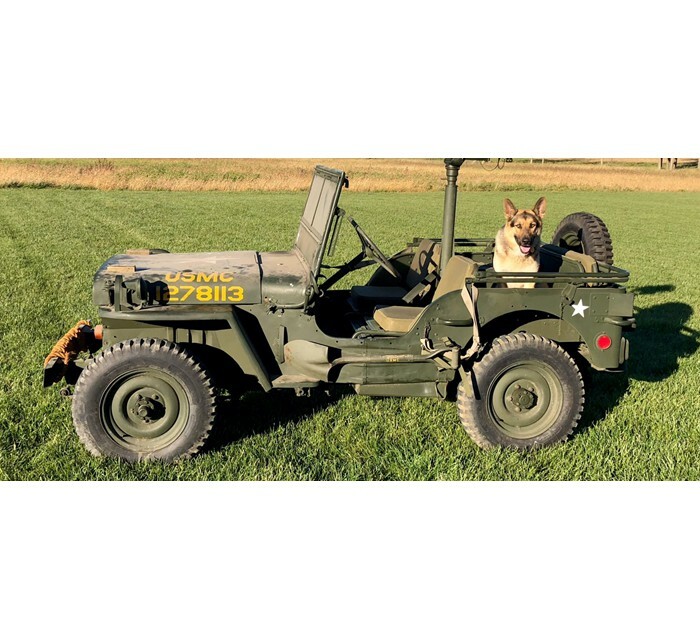 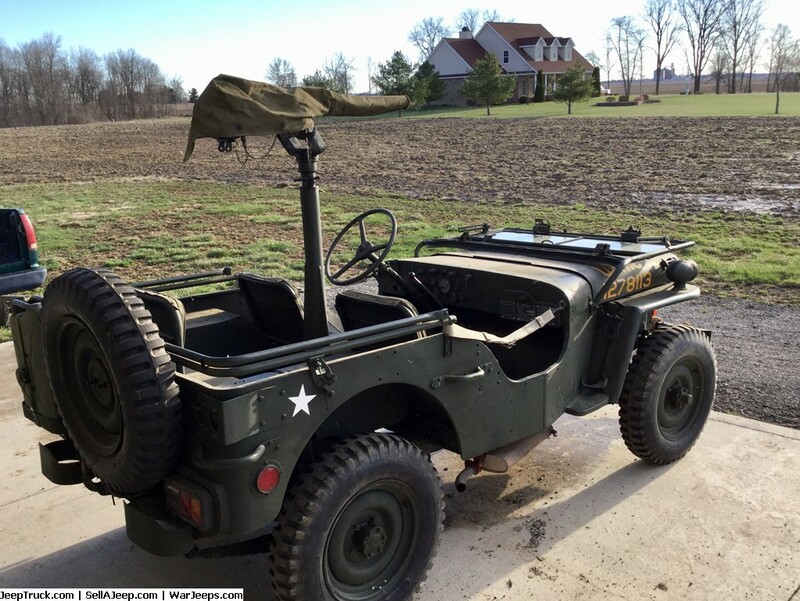 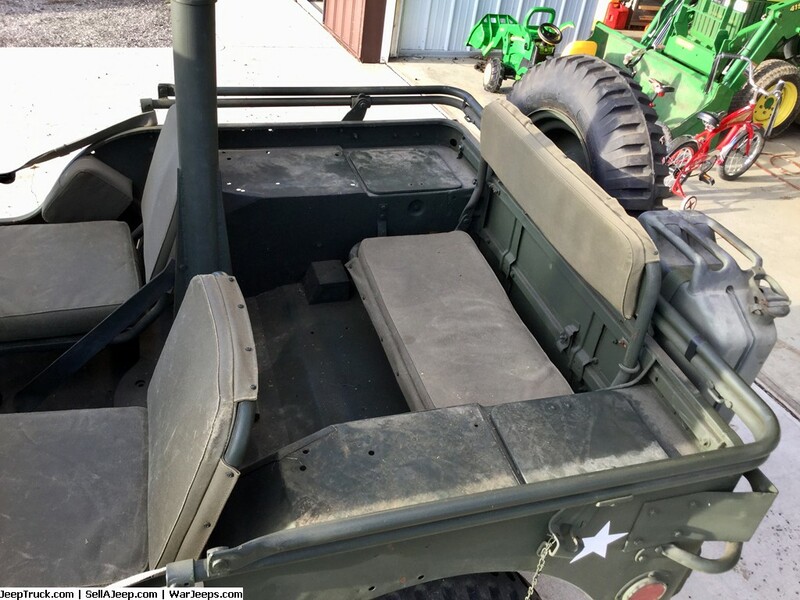 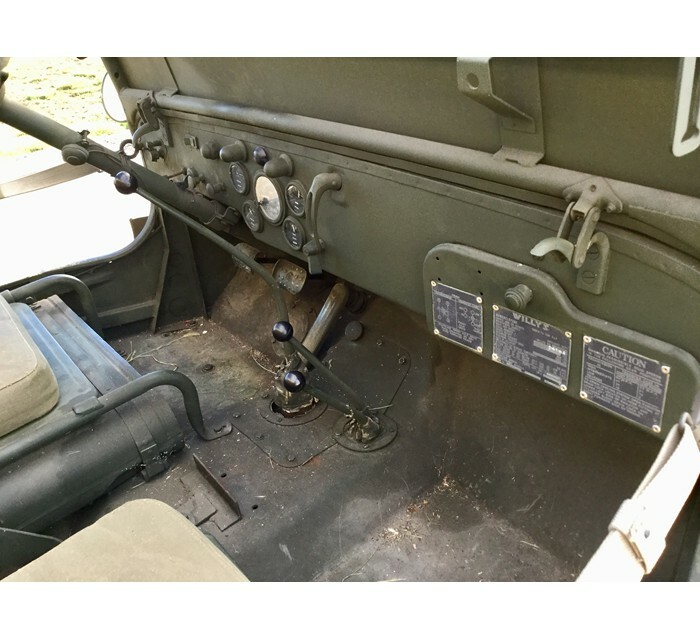 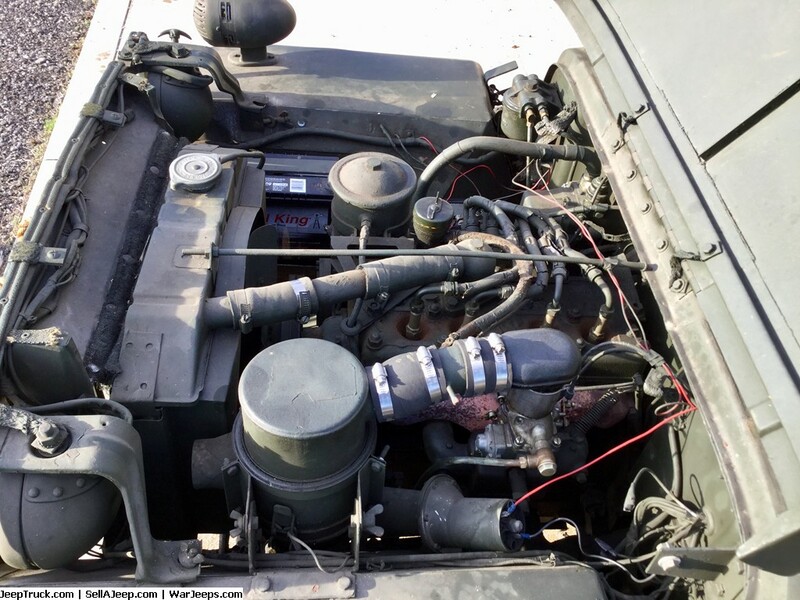 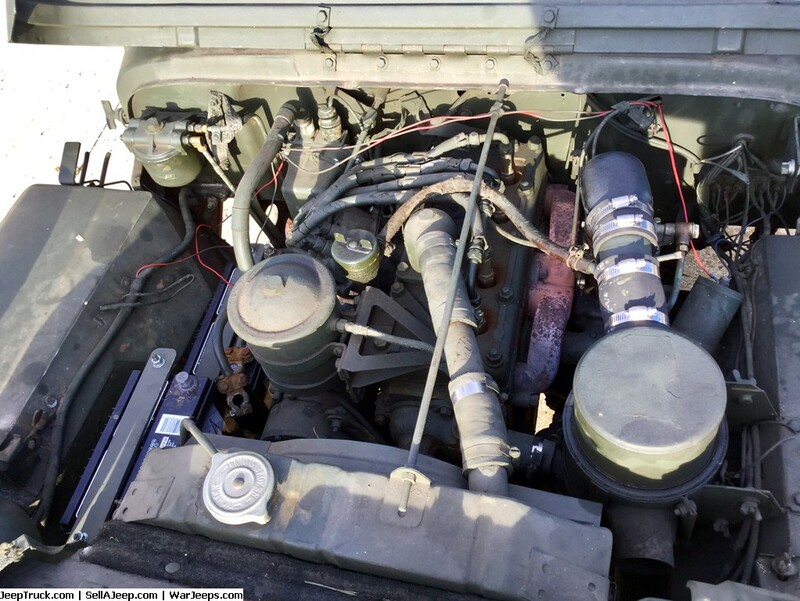 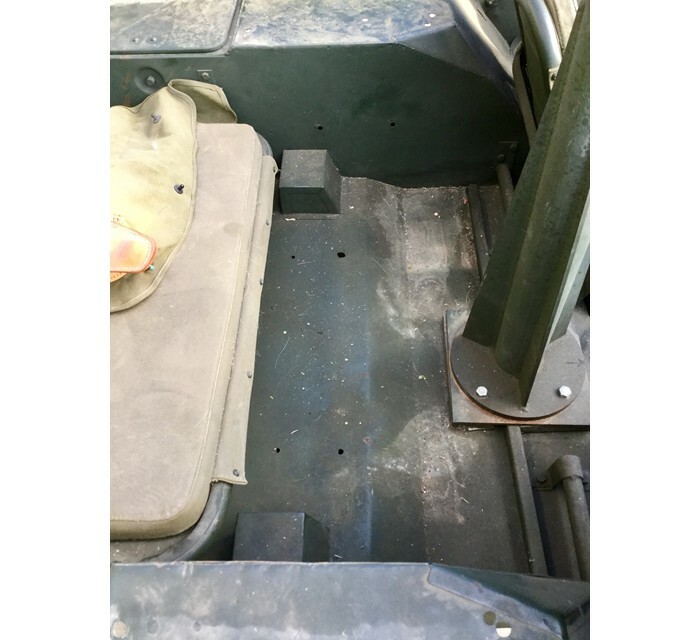 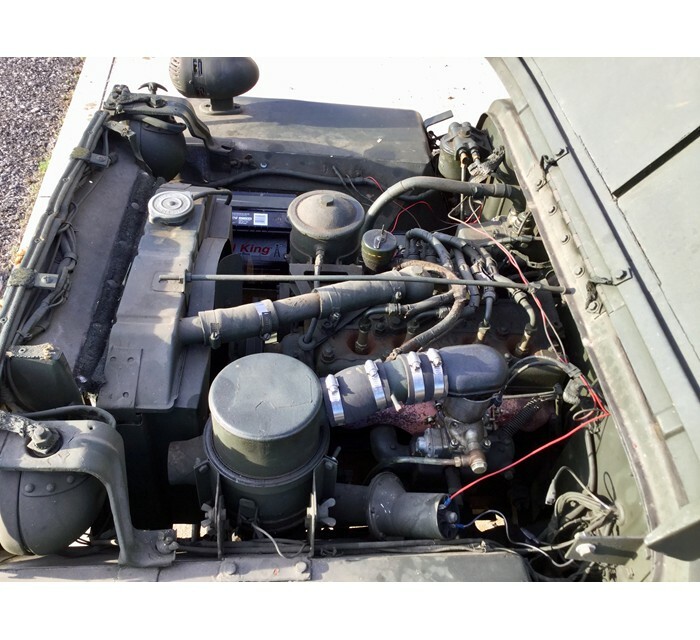 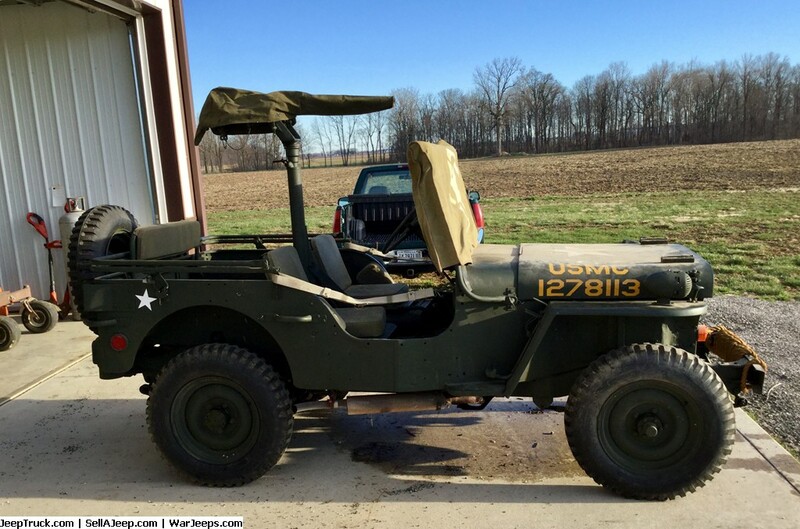 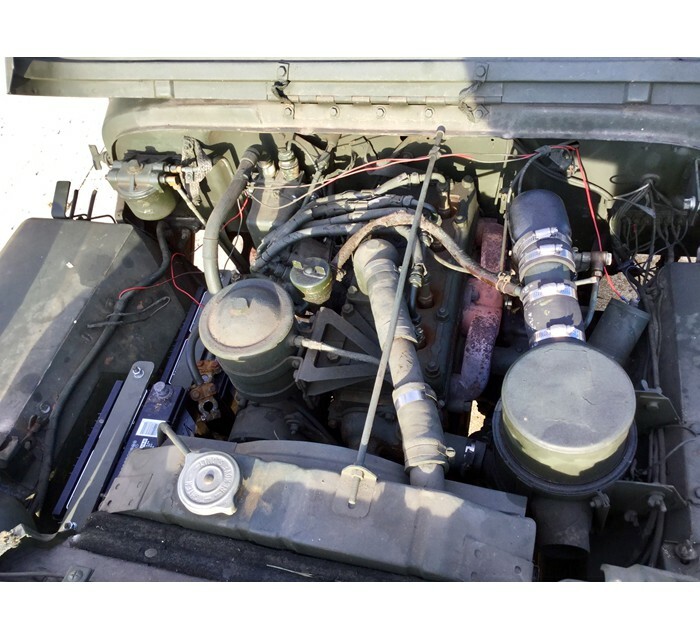 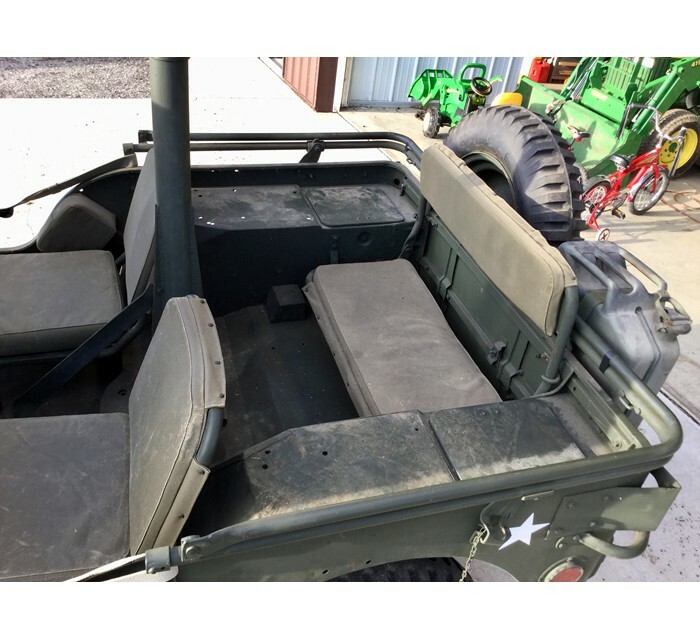 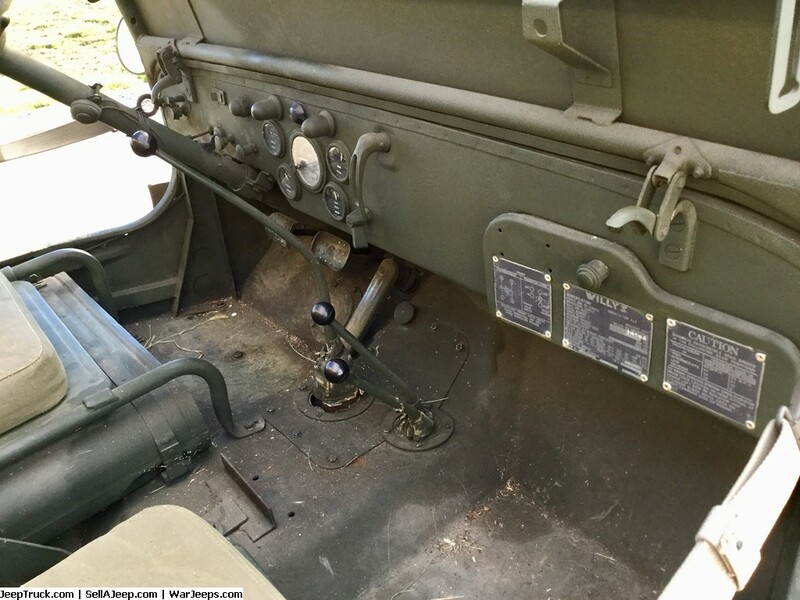 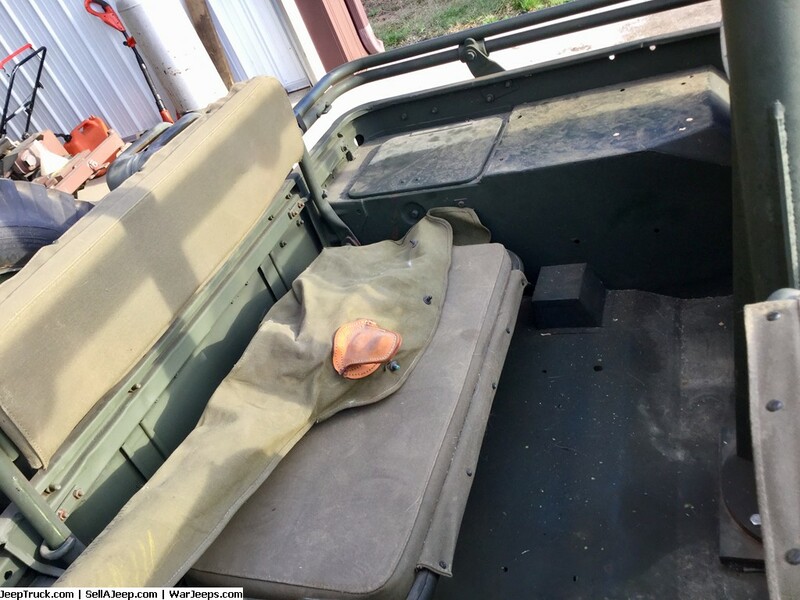 What I have is a Willys French Hotchkiss M201 in great condition. 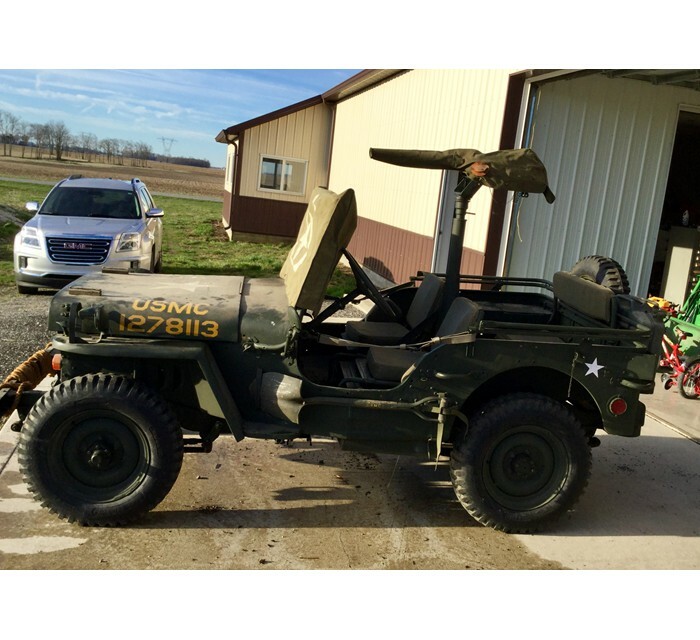 I purchased it off a widow that lives about 10 miles from me it was kept in a polebarn and is in great condition not sure how long it set but I did replace the batteries and added gas to the tank primed the carburetor and surprisingly it kicked right off. 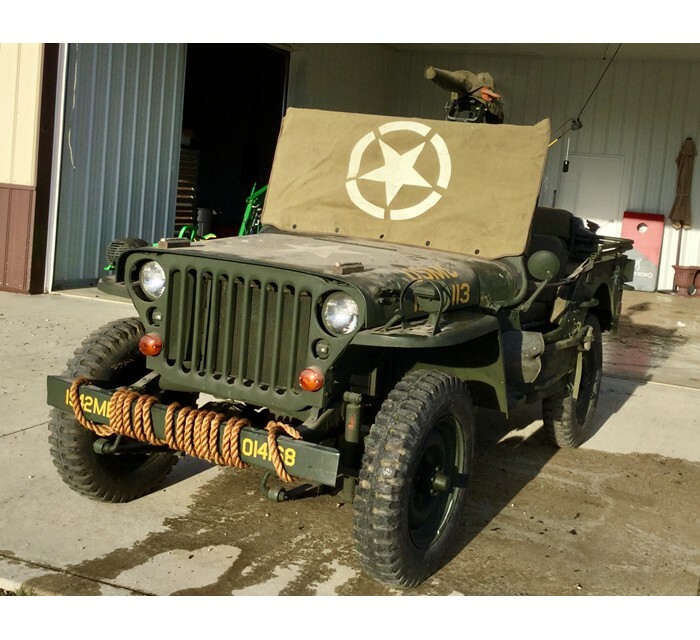 I think the fuel pump needs to be replace as I will run great as long as I prime the carburetor so I'm guessing the diaphragm is bad in the pump also the brakes will need to be worked on as well. 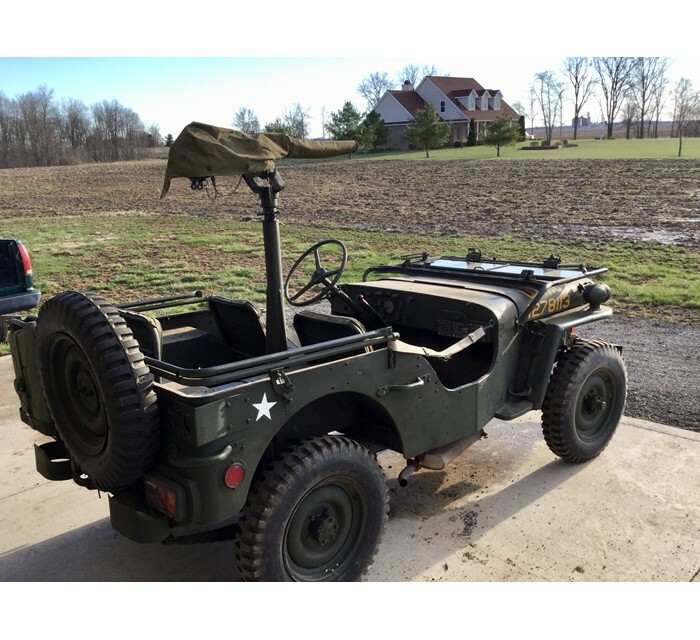 I can drive the Jeep around for about 5 minutes before needing to prime it again so it tells me the pump is not working I did check and I am getting fuel up to the pump. 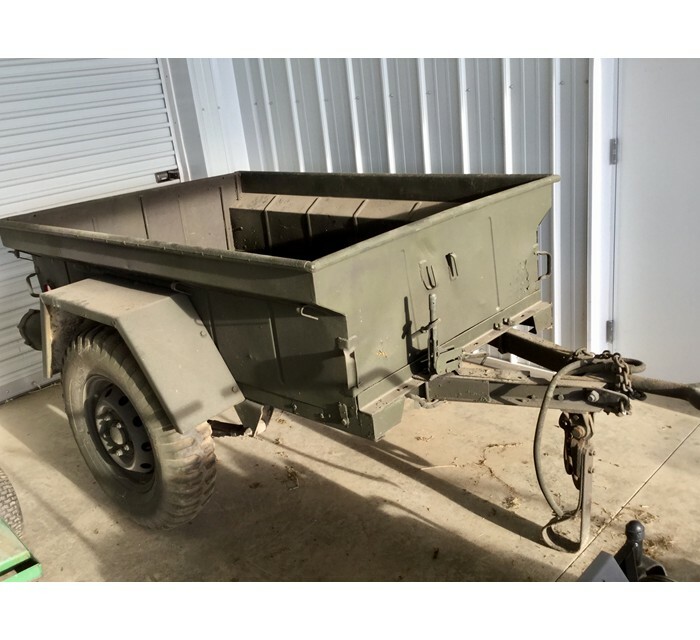 Call or email me with any questions it does come with a trailer and the machine gun as well. 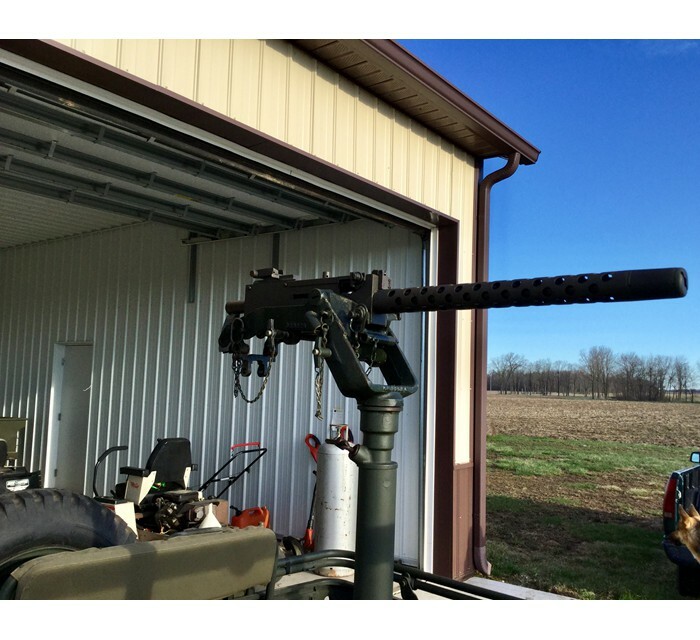 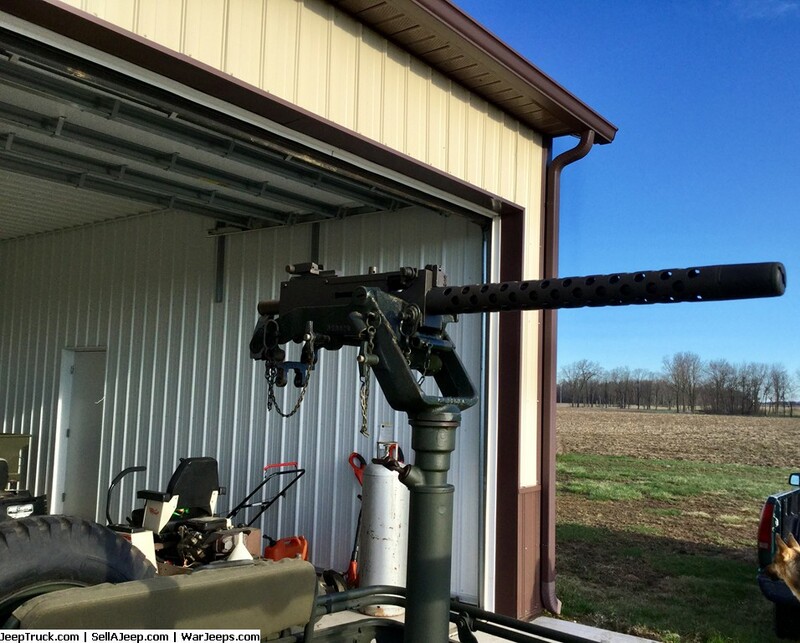 The machine gun is welded up and not operational and is only for display. 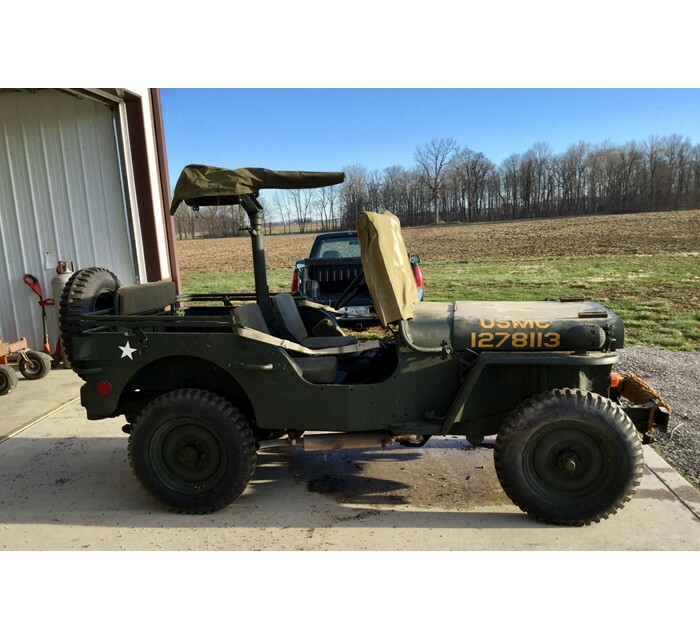 Call or email me with any questions I live near Kokomo Indiana if you want to come and take a look at it. 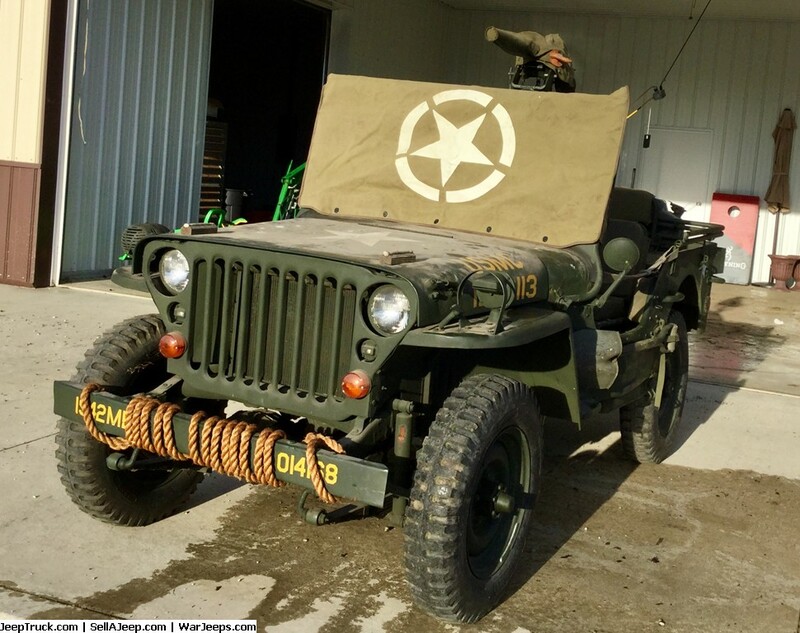 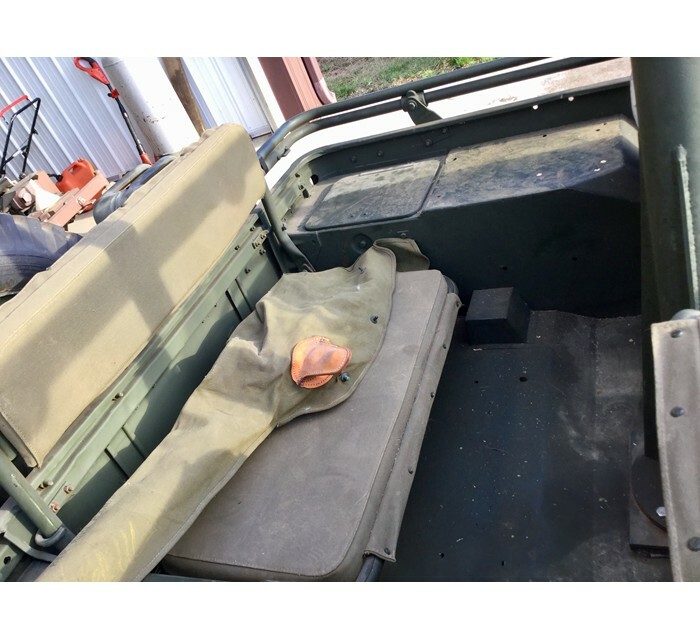 Also I have the title it states it is a 1941 Willys but after purchasing the Jeep and digging into it I see it is one of the French Hotchkiss jeeps as the French loved the Jeep and after ww2 the US army gave a large amount of jeeps to the French army and they used them for many years so it is actually a neat Jeep and I'm guessing not to many of these are here in the U.S.